This little pillow will make you so hoppy! 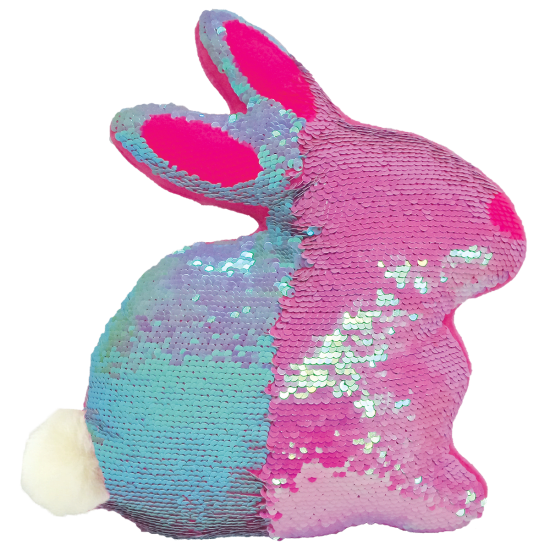 Our bunny reversible sequin pillow changes from pink to blue with the swipe of your hand and features the cutest little cottontail. With a fleece back, it's as comfy to snuggle up with as it is fun to look at.